Before even touching down in Athens, we knew that an Athens food tour was at the top of our list of things we wanted to do in the city. Greek food has an amazing reputation, and we couldn’t wait to dive into it ourselves. 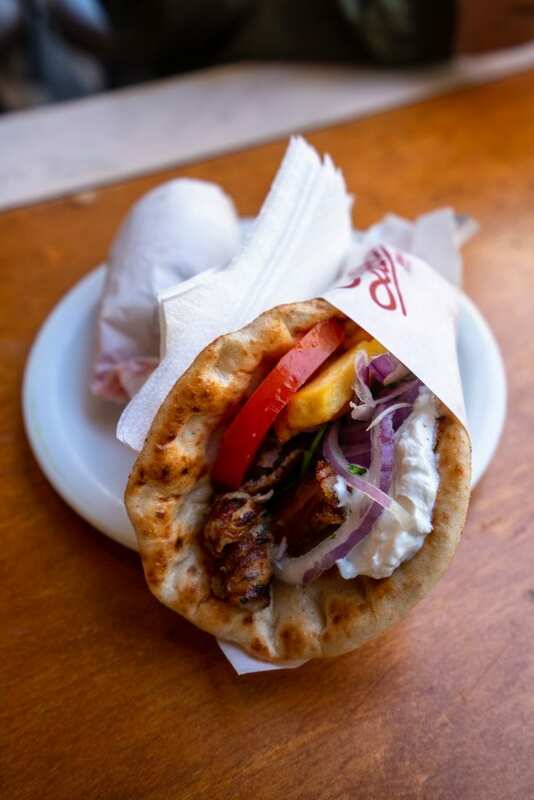 After a long, interesting, and delicious Athens food tour, we absolutely stand by our initial impression: a food tour through Athens is the perfect way to get introduced to city and to Greek food, and is tons of fun to boot. Here’s why you should add an Athens food tour to your trip… and a few highlights from our own experience. 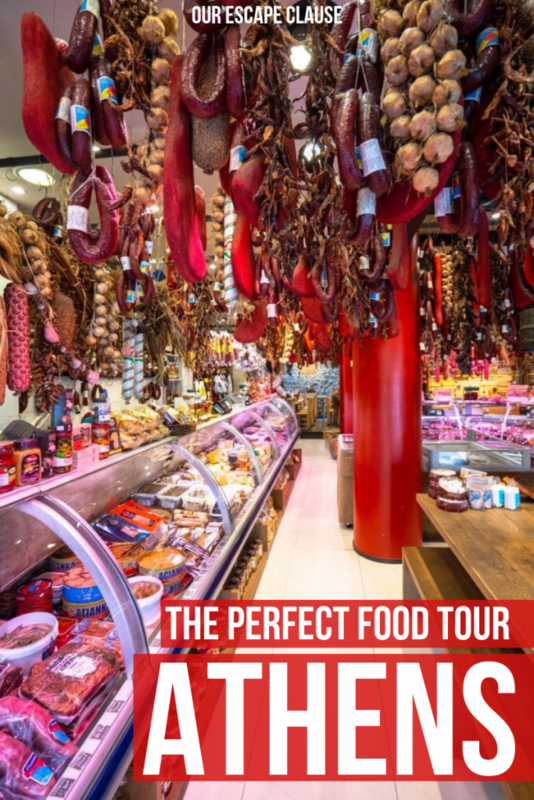 Book your Athens food tour today! To get acquainted with the city. Athens is a large and deeply interesting city, but it’s not necessarily the easiest one to wrap your head around. Sure, everyone who visits knows that they’re going to see the Acropolis… but beyond that, many visitors arrive without a clear idea of how they want to fill their days, or where to find the most interesting neighborhoods in Athens. 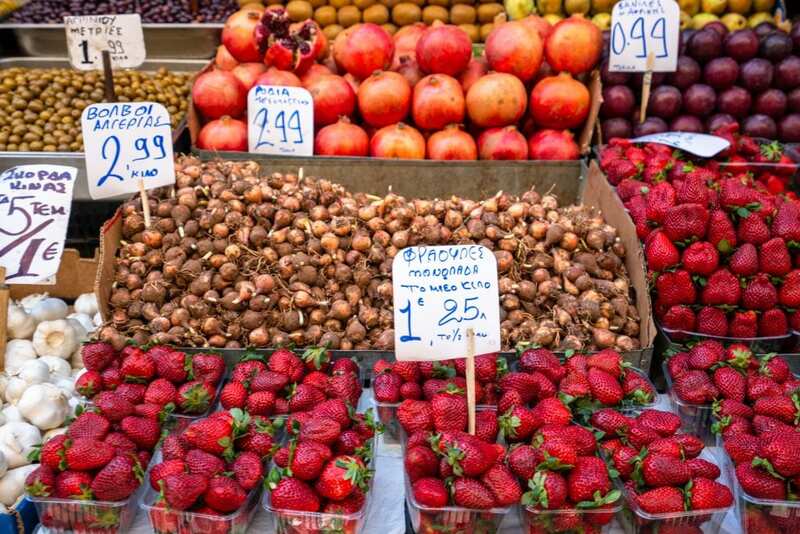 An Athens food tour is the perfect solution: more engaging than a standard walking tour, a food tour will help you orient yourself in Athens and get acquainted with exploring the city on foot, while also showing you interesting spots that you may not have found on your own. To learn what to order in Athens. Here’s the thing about landing in a new country, especially one that uses a different alphabet: even if you know that the food is supposed to be amazing, you may not know what to order! A food tour solves that problem fast: you’ll learn the names of and how to order all your new favorite foods (which, in a well-designed tour like the one we took, will generally be some of the most iconic to the city), and regional differences in naming foods (did you know that ordering souvlaki means something different in Athens than in the rest of Greece?). 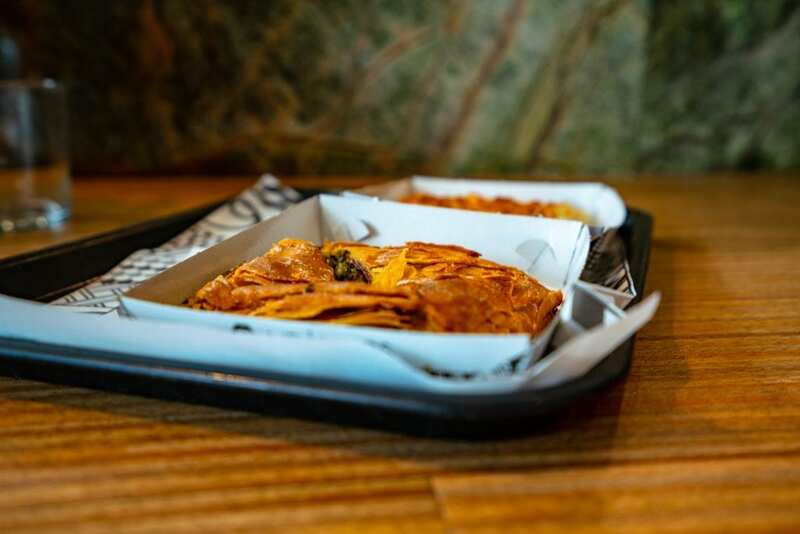 You’ll also have the chance to try a wide variety of foods in small(ish) portion sizes–so it’s easy to convince yourself to try new foods, as you won’t have to commit time or money to ordering an entire portion at a restaurant when you think you may not like it. To fill up on delicious Greek food. Spanakopita. Greek coffee. Loukoumades. Gyros. Greek salad. Yogurt with honey. Wine. Olive oil. 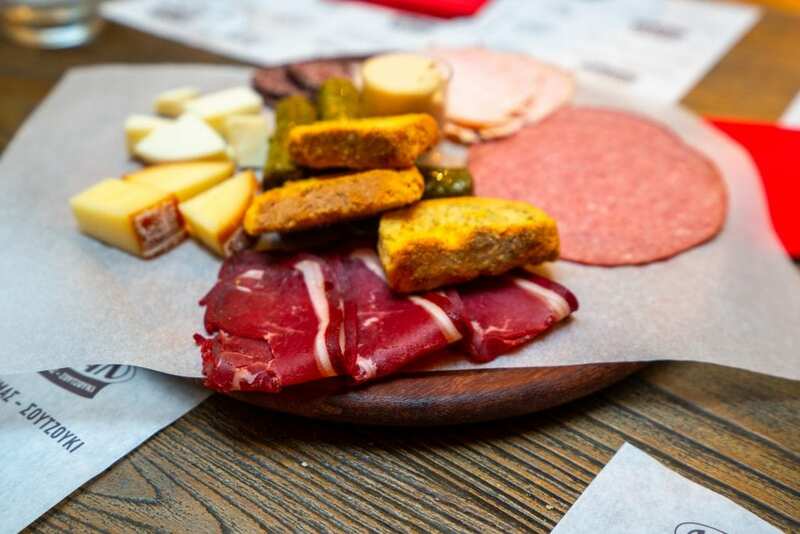 Those are just a few of the incredibly tasty things we tried on our Athens food tour, and we adored each and every bite of it! On our several-hour-long tour, we tried over a dozen new-to-us foods–and every last one of them was completely delightful. We took a morning food tour through Athens, and the food from the tour easily replaced both breakfast and lunch for us–we were stuffed for hours afterward, and it was so worth it. Greece’s famous spinach pie may seem like an obvious choice for the first stop on an Athens food tour–it is often eaten as a breakfast food, after all–but as we had never tried it, we were all for it (and the cheese pie we tried at the same stop was amazing as well). We quickly fell in love with the flaky crust and spinach-plus-feta filling–so much in love, in fact, that we had spanakopita for breakfast several more times during our visit to Greece! 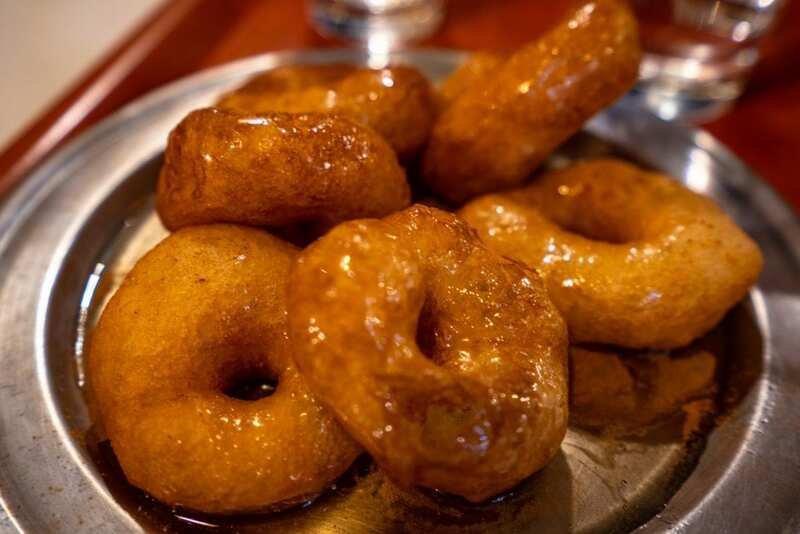 Our first remarks when tasting loukoumades (Greek doughnuts covered in honey)? “These taste like sopapillas!”. Not exactly the same, of course–the texture, in particular, is a bit different between the two–but both desserts are incredibly delicious, and we always find it so interesting when cultures located across the world from each other end up creating similar dishes. Watching our friend Ashley try her first-ever gyro. We took our food tour in Athens with our friend Ashley, who met us in Greece for her first-ever trip outside the USA–and watching her taste her first gyro was priceless! She enjoyed just about everything on our Athens food tour, but the fresh pork gyro we ended the tour with? That one got talked about for the rest of our time in Greece, and we definitely hunted down a few more gyros during her trip based on how much she enjoyed the first one! Four words: Greek yogurt with honey. I actually first fell in love with the joys of creamy Greek yogurt topped with delicious honey on our honeymoon in the Bahamas–but I completely forgot about it until we touched down in Athens nearly six years later! That’s probably for the best, as dairy and my digestive system are not best friends, but oh. my. goodness. This dessert. Oh, this dessert. I don’t know if I’ve ever eaten a single dish in my life with quite as much delight as I devoured the cup of Greek yogurt with honey that I had on our Athens food tour–and I definitely spent the rest of our time in Greece treating myself to Greek yogurt with honey as frequently as possible. Devouring a delicious Greek salad with a glass of wine. Greek salad made fresh with ingredients we picked up while walking through the fruit and vegetable market on our Athens food tour–what could be tastier than that? Not much, especially once you add in that we picked which Greek olive oil to use to make the salad with from a taste test and that we accompanied the whole shebang with generous pours of local wine. Chatting with our amazing tour guide, Dorela. A good guide can really make or break a tour experience–and our guide on our Athens food tour, Dorela, was phenomenal. She was personable, happy to chat with us and answer our endless questions about Greek food and Athens, incredibly knowledgeable about the food and the city, and also loved to travel–meaning that she automatically has something in common with the travel-lovers who are likely to book an Athens food tour! 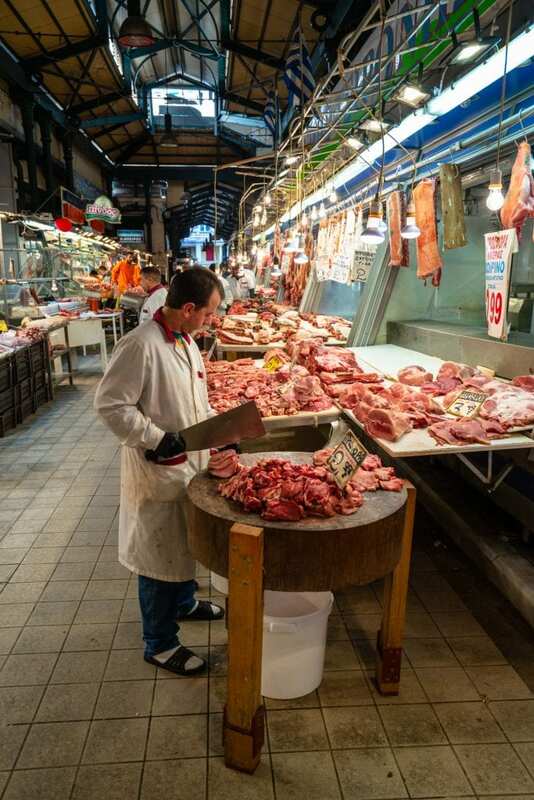 Want to book the same Athens food tour that we loved so much? You can! This is the tour we took–as you can see, it involves more stops than the ones we’ve outlined in this post, but we don’t want to spoil the whole tour for you! 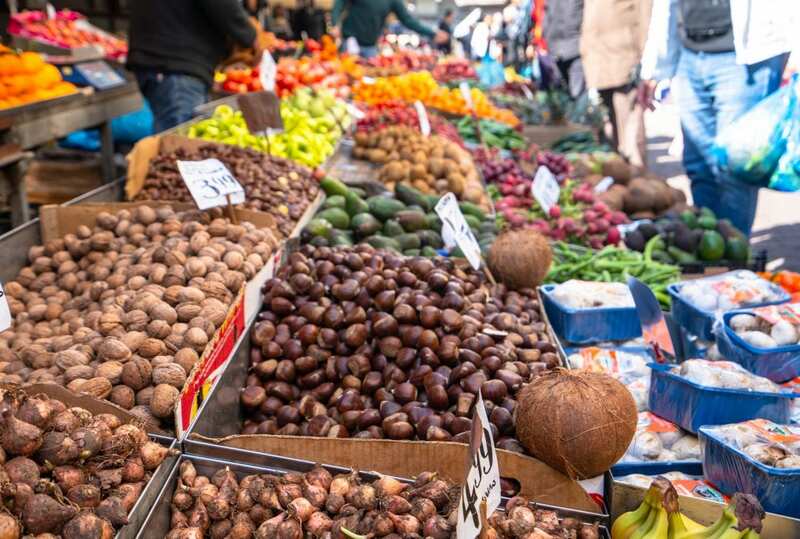 Suffice it to say that you’ll finish the tour completely stuffed and, if you’re a newcomer to the city, far more knowledgeable about both Greek food and Athens as a city than when you started. 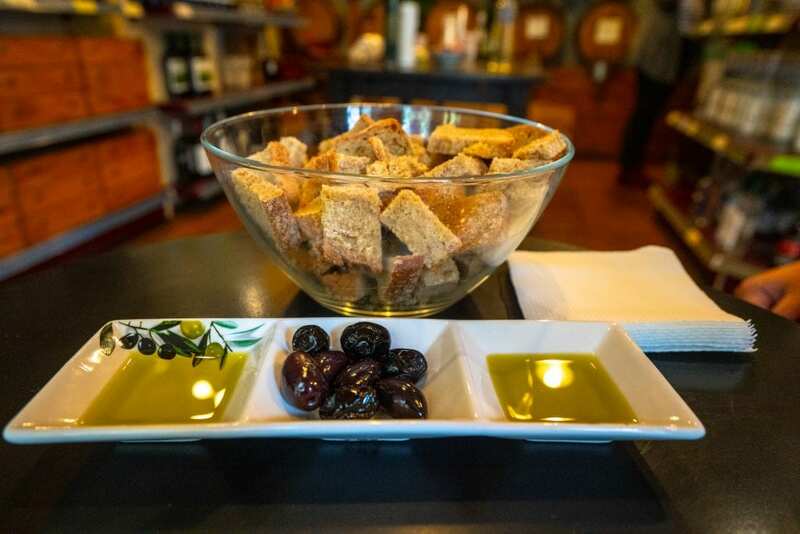 Keep in mind that this Athens food tour does sell out sometimes, especially in the summer, so book at least a few days ahead of time if you can! 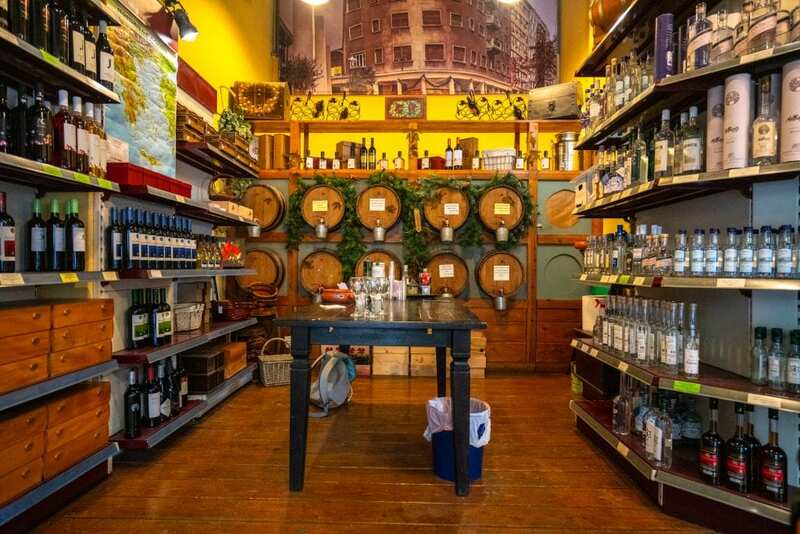 Book the same Athens food tour that we loved today!